Click on the Images to See More of Each Series! 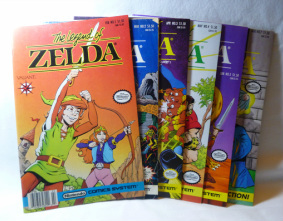 Zelda Comics and Manga... the not-so-canon offspring of the Zelda franchise. These comics/manga are officially published (none of them are Doujinshi or Fan-Comics. These will be located in Crafts.) These comics are semi-loosely based off of actual games, yet they add interesting characters along the way that were not originally in the series. My collection of comics and manga will be listed from oldest to newest. Other Info: A second release of the Valiant Zelda Comics, these issues are distinguished by monthly dated issues/prices as well as showcasing the short stories in a different order from the original set. There are also new stories included, as well as a never seen before 7th book. The second series does not have a 6th book in it's installments, however. It was skipped to create a "missing edition" theory as a publicity stunt. 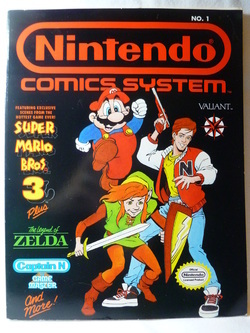 Other Info: The Zelda comics that are featured in this compilation book are reprints the series of Valiant Zelda Comics. 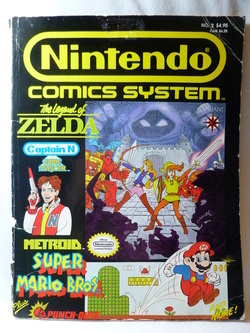 The stories included are: "The Legend of Zelda", "Assault", and "Choices". 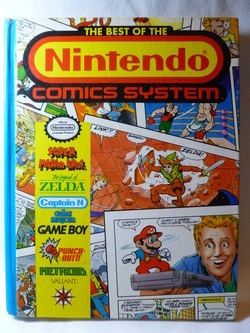 Other Info: The Zelda comics that are featured in this compilation book are reprints the series of Valiant Zelda Comics. 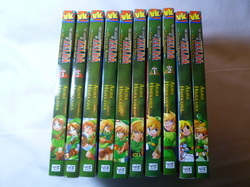 The stories included are: "The Legend of Zelda" and "Queen of Hearts". Other Info: The Zelda comics that are featured in this compilation book are reprints from the series of Valiant Zelda Comics. 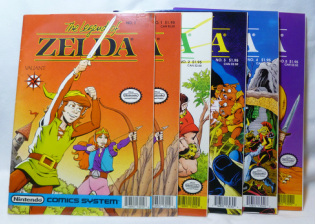 The stories included are: "The Legend of Zelda", "Missing in Action", "Secrets of the Triforce", "Trust Me", "Thief in the Night", "Zelda's Consumer Tips", "The Power", "The Price", and "The Compleat Hero". Other Info: Like traditional manga, this series reads from right to left. 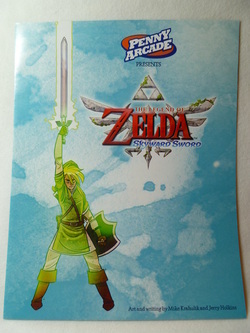 The English translated edition of Skyward Sword was added to the English edition of Hyrule Historia, rather than having its own printing like its Japanese counterpart. 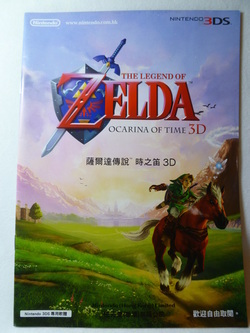 Other Info: 7 pages are dedicated to character information and a mini guide on how to play Ocarina of Time 3D on a 3DS. 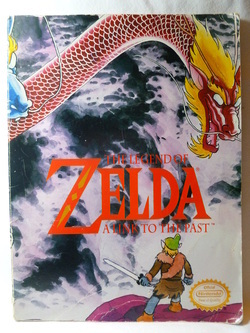 The remainder of the manga includes an abridged version of Akira Himaekawa's Ocarina of Time manga, in beautifully full-color detail. You can view the manga with its original text here or see the English translated pages (thanks to Zeldanime) here!